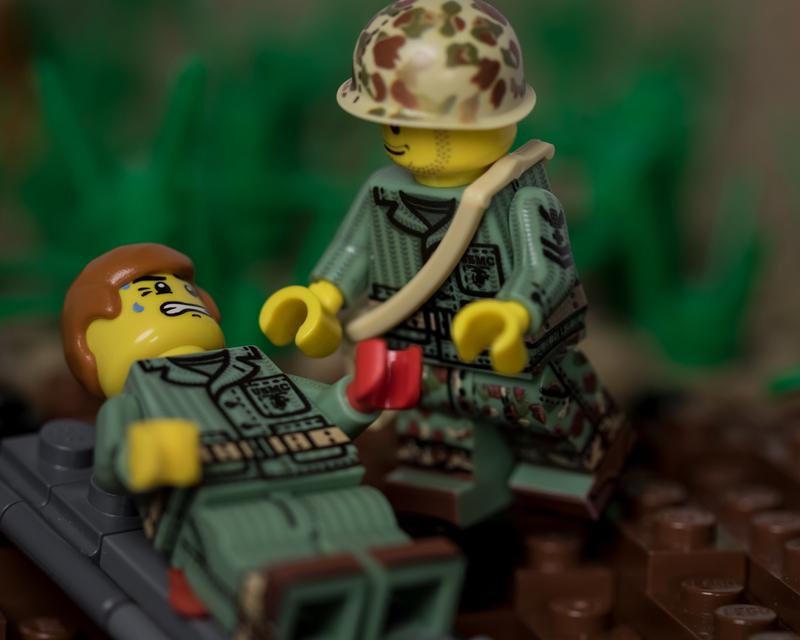 In WWII, the United States Navy was responsible for providing medical services to the United States Marine Corps, a tradition which continues to this day. This WWII Navy Corpsman served on the front lines of combat, providing vital lifesaving support to the Marines fighting in the Pacific. This Brickmania™ exclusive minifigure features artwork based on the Pattern 1941 USMC HBT Three Pocket Tunic, USMC Reversible “Frogskin” Camouflage Trousers, and USMC Leather Boondocker Boots. Additionally, this figure uses only genuine LEGO® and BrickArms® elements with custom printing done in-house at Brickmania’s HQ in Minneapolis, MN. This WWII US Navy Corpsman features exclusive custom-printed artwork designed by Lando.